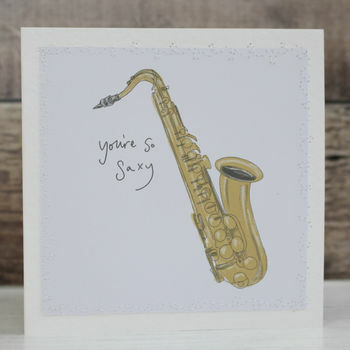 Choose this fun and quirky card for a humorous way to celebrate Valentine's Day. Perfect for your long term partner but also a light hearted card for a new blossoming love! The design was drawn by hand, digitally printed and then stitched onto the card for a unique and artistic effect. Please note that the stitching on the card is visible from the inside. 300gsm white card and stitched onto white hammered card and comes with a smooth white envelope. Packed in a layer of tissue to protect the card and our environment.